Trent McMurtrey has an extensive background in private and international sector activities. He has spent more than seven years in secondary international education. In his role as chief operating officer of a small multimillion dollar organization located in Marietta, Georgia, Trent McMurtrey is a results oriented leader with seven years of experience with domestic and international experience in operations, multichannel partnerships, and marketing involving both start-up and growth organizations. An organized problem solver with strong analytical and project management skills with experience in a multi-cultural environment. He has worked extensively in China, South Korea, Vietnam, Thailand, Philippians, India, as well as many other locations around Asia. His company has allowed him to be the liaison between many private and public institutions around the world. Currently he has connected over a hundred private institutions in the United States with several prestigious international schools throughout China and Vietnam. Trent McMurtrey has also served in the U.S. military. During his time in the military, Lt. McMurtrey has received numerous awards and certifications including Strong Bonds, Yellow Ribbon, Nationally Registered EMT, and Good Conduct Ribbons. In his personal time, Mr. McMurtrey enjoys spending time with his family. He has a beautiful wife of eight years and two young boys: Travis who is seven years old and Micah who is three years old. The McMurtreys enjoy traveling together as a family. 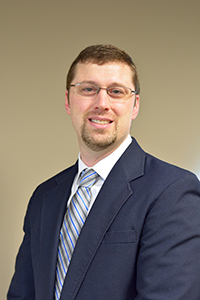 Mr. McMurtrey received his Executive MBA in May 2017 from Kennesaw State University and his baccalaureate from Point University in Human Relations/Psychology while serving in the United States military. Chad holds a bachelor’s degree in Chemistry from Berry College as well as an Executive MBA from Kennesaw State University. His empathetic heart for international students stems from spending ten years in China. His desire is to utilize this culturally diverse experience to bridge the gap between international students, American school staff, and host families. His quality control experience in the pharmaceutical industry helps AOA to continually improve its methods and procedures to help safeguard a quality program. Chad is responsible for overseeing the homestay program and well as assuring excellence in the day to day operations at the U.S. headquarters. 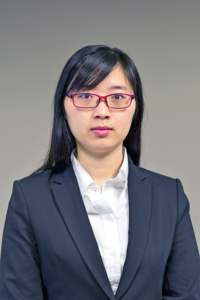 Jing Zhai is the Director of International Students and an IT Developer at Academic Opportunities in America, where she takes care of Chinese marketing and strategies. Jing graduated from Kennesaw State University, with Master Degree in MBA in 2015. At the last year she studied in KSU, she joined AOA as an intern. She is currently working on expanding Chinese market and partnership. Dr. Greene’s educational career spans over 35 years in the United States and abroad and includes a BS degree in Science Education and an MS degree in Administration and Supervision. His early career included upper school science instruction, department chairmanship, teacher supervision, and coaching. He also served as a Principal for elementary, middle and upper school divisions. In 2005, Dr. Greene was selected to be the founding director of the International School of Kabul (ISK), Afghanistan. During the initial five years of ISK (2005-10), Dr. Greene was strategically involved with the highest levels of American and Afghan government educational agencies, working frequently with leadership from the State Department, US Embassy and Afghan Government Education Ministry. Dr. Greene has provided both international and domestic consulting services at schools in China, Vietnam, Thailand and the USA. Mr. Tri has over ten years of experience in assisting students applying for America study programs. Mr. Tri graduated with two bachelor’s degrees, one in science and one in English, from the Natural Science University and the Humanities and Social Science University, respectively. He has all of the knowledge to deliver the best options for Vietnamese students and train them to be a great fit in American Education. He also has the responsibility to present reliable strengths of AOA Partner schools to Vietnamese parents and students to help them to start their very first steps in America.